Real Housewives Of New York star Dorinda Medley has revealed she has quit drinking and given her lifestyle a major overhaul. 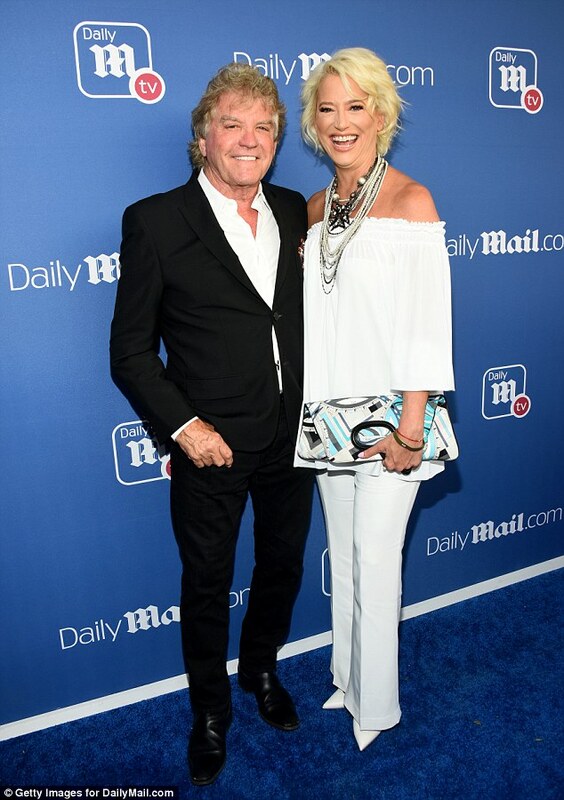 The reality star opened up about her health kick as she walked the red carpet at DailyMail.com and DailyMailTV’s summer party in Los Angeles on Wednesday. 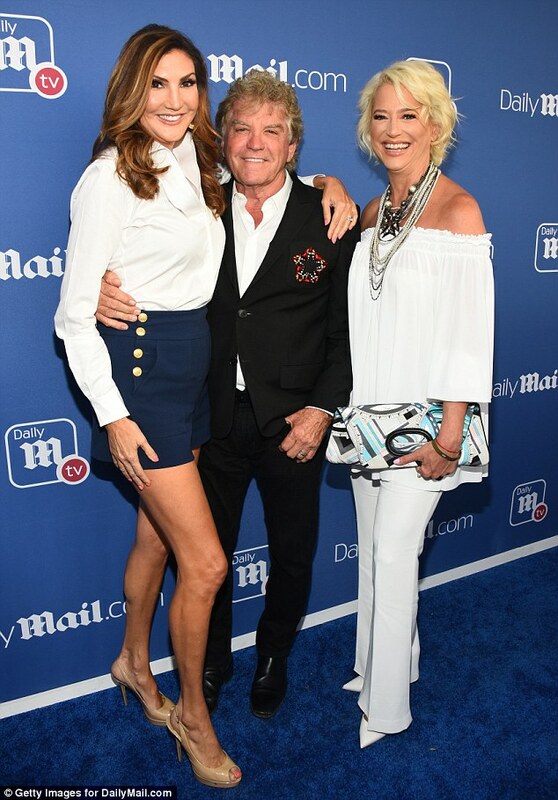 Revealing she’s lost a total of seven inches from her body, the 53-year-old told DailyMail.com that Luann de Lesseps’ ‘wake-up call’ was an inspiration. So she signed up with a trainer, Virgil, at Equinox gym, and started working out four days a week. Her regime is exhausting, but Dorinda is determined to stick it out. And already, she is seeing changes. The mother-of-one says her eyes are brighter, she;s lost a few pounds, and shed inches. Indeed her outfit on Wednesday night didn’t even fit a few weeks ago. ‘The things that were tight on me, like I couldn’t wear these pants a couple of months ago and now they fit again. You feel yourself just getting leaner,’ she said. Like Luann, one sacrifice she has had to make is quitting drinking – although Dorinda says she will always enjoy an occasional tipple. ‘If you wanna lose weight and be able to work out hard you can’t drink, you just can’t. 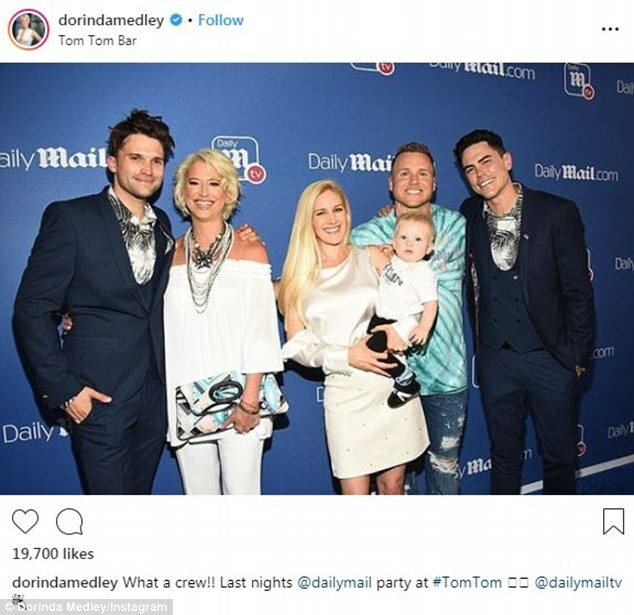 The DailyMail.com and DailyMailTV summer party was held at LA’s hottest new bar and lounge TomTom – which opened its doors for the very first time just for the event. It is the newest Vanderpump establishment in West Hollywood, California. Lisa Vanderpump and Ken Todd, along with her new business partners Tom Sandoval and Tom Schwartz, have been working hard for more than a year to launch the venue. Nick Alain, a Miami-based industrial designer and creative director, helped to bring Vanderpump’s vision for the bar to life while Sandoval and Schwartz have been developing signature cocktails. Last year, Vanderpump offered Sandoval and Schwartz a chance to go into business – they both agreed to put in $50,000 each for 5 percent stake in the bar. Vanderpump and her husband also own LA restaurants SUR, Villa Blanca and PUMP.